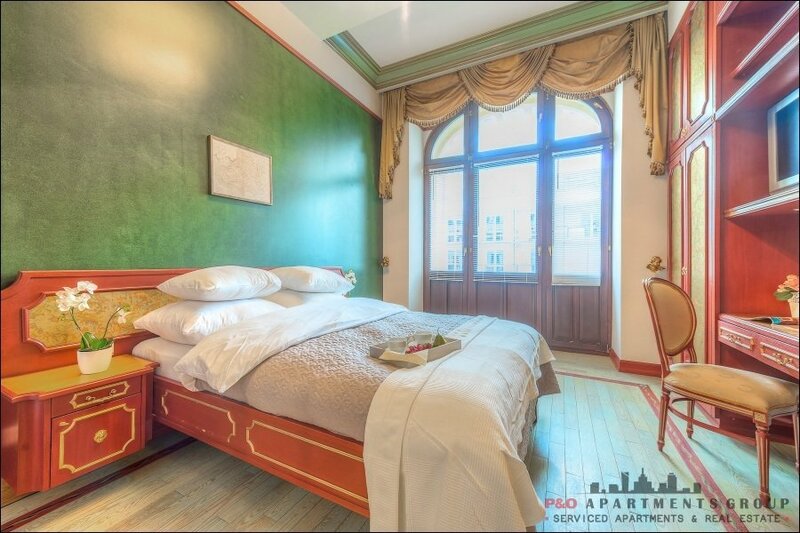 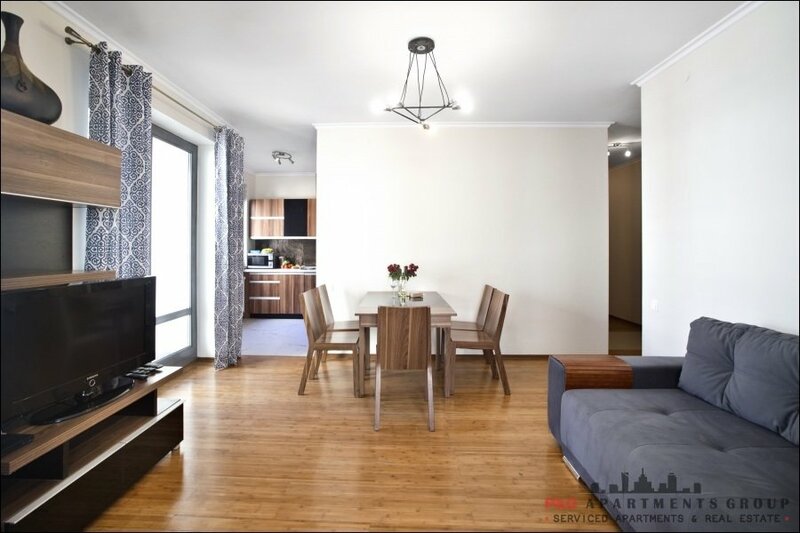 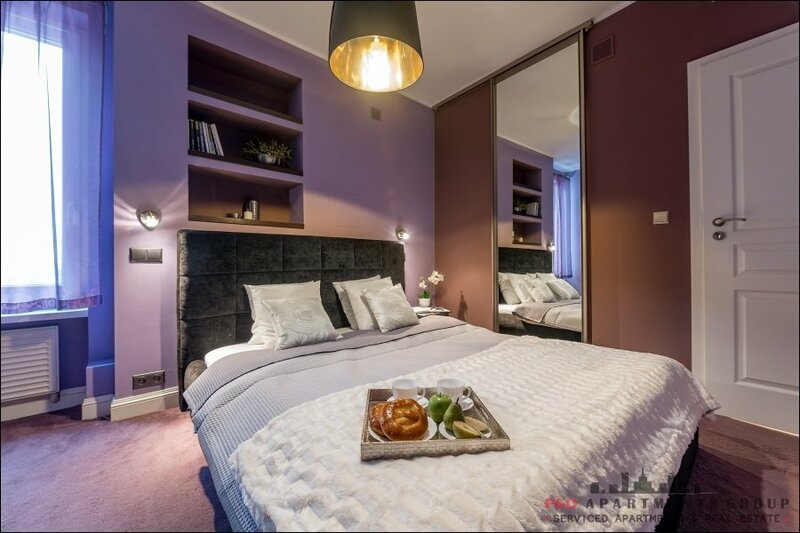 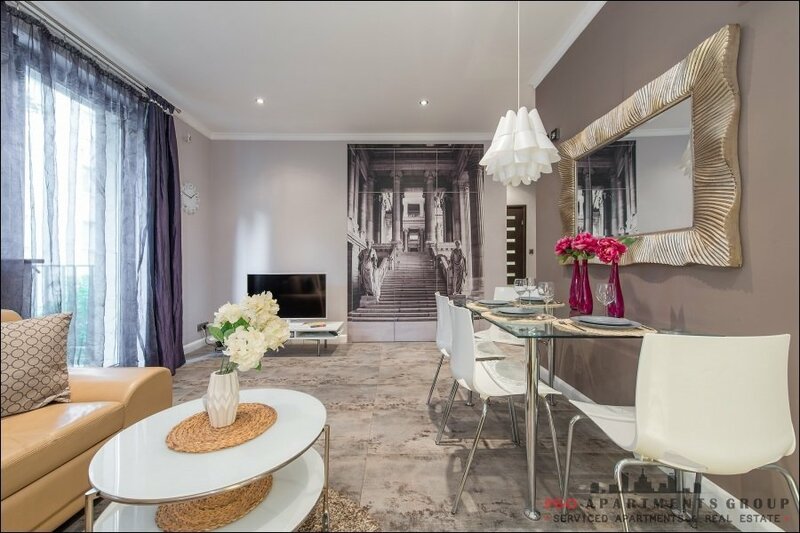 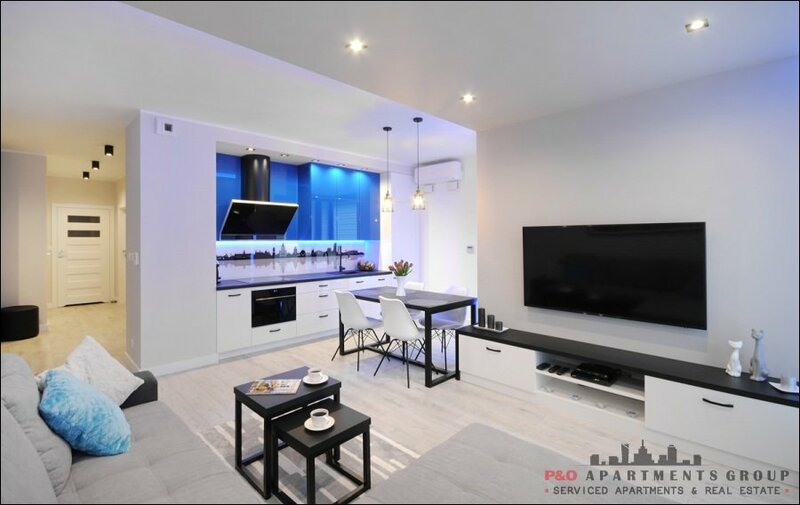 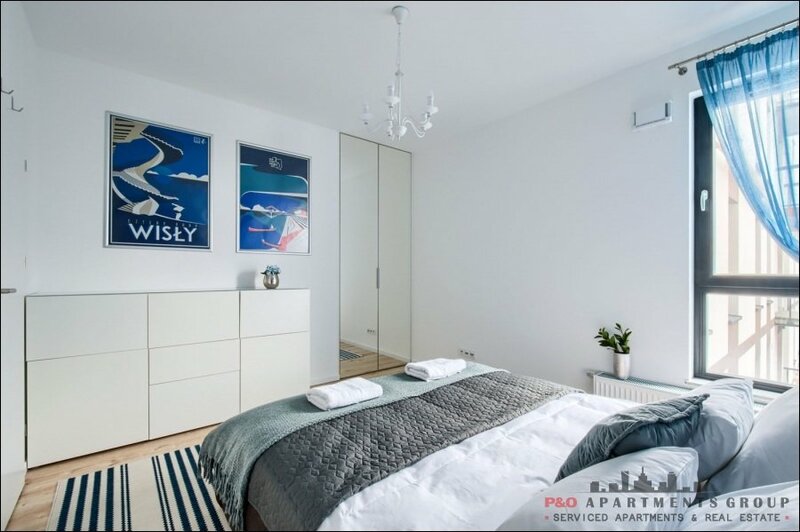 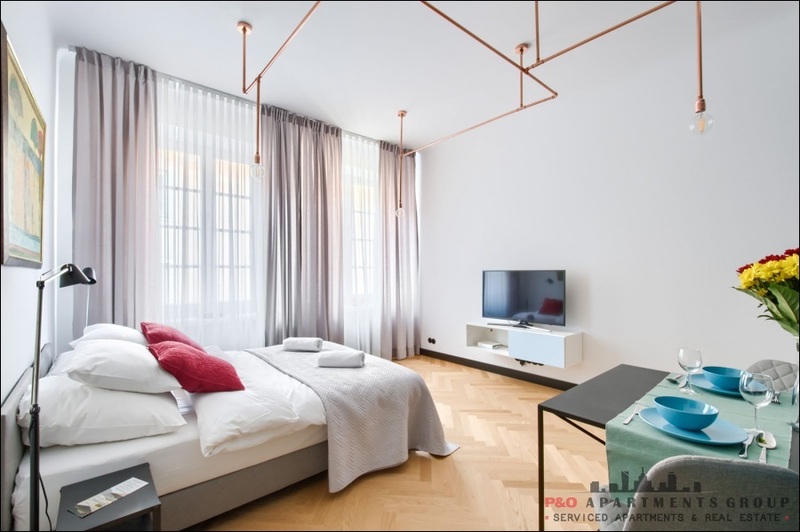 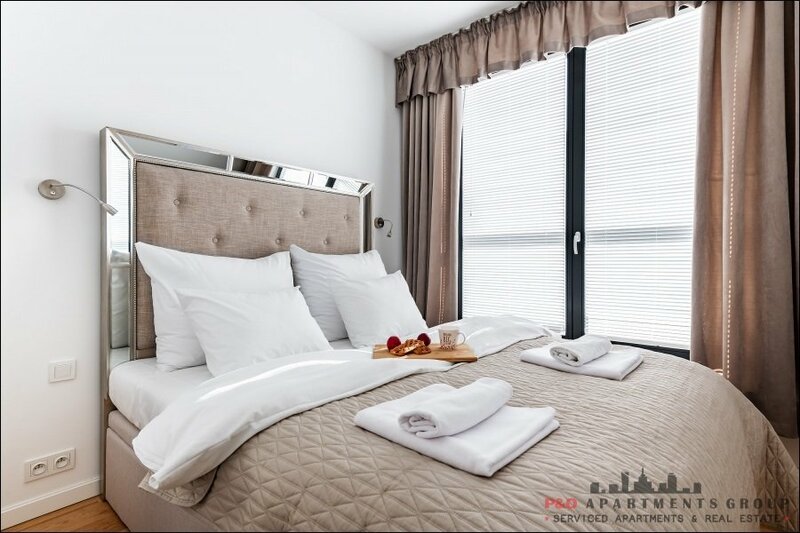 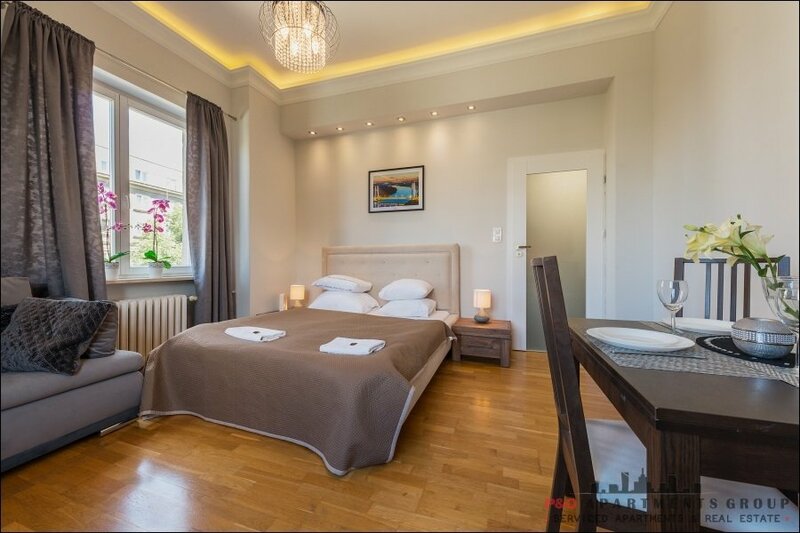 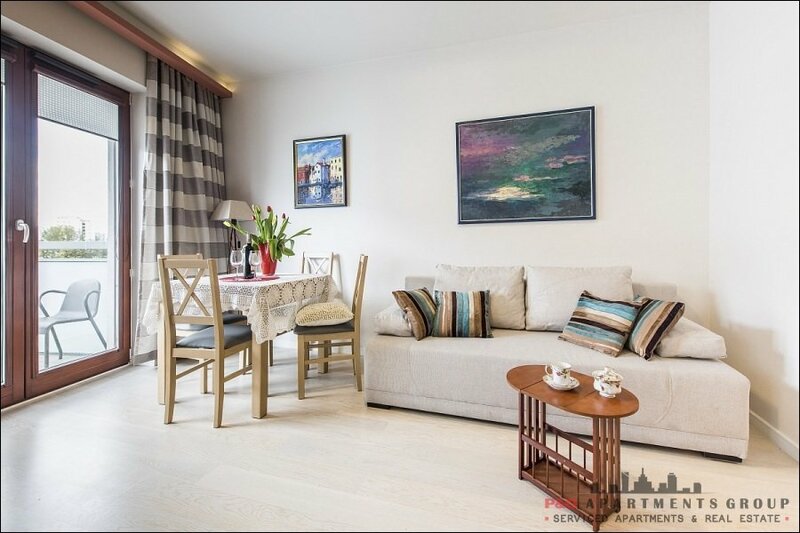 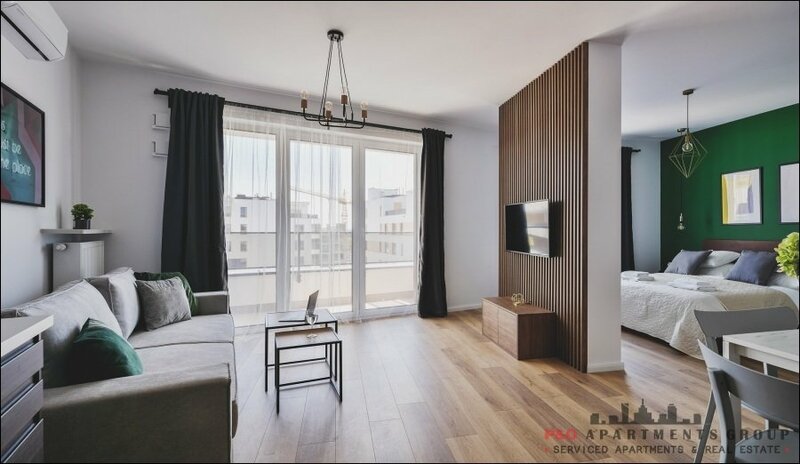 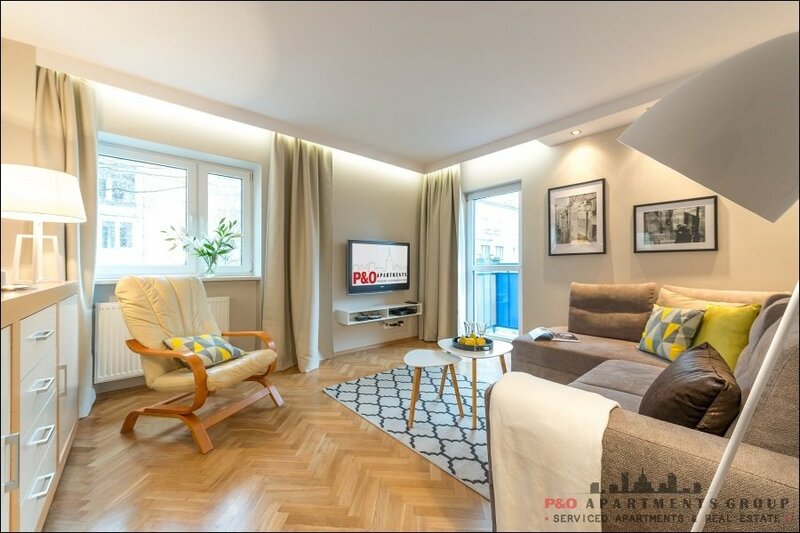 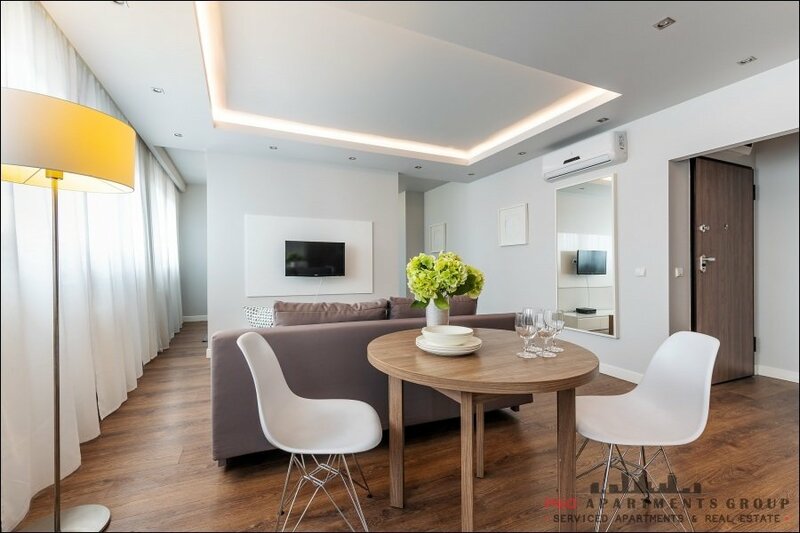 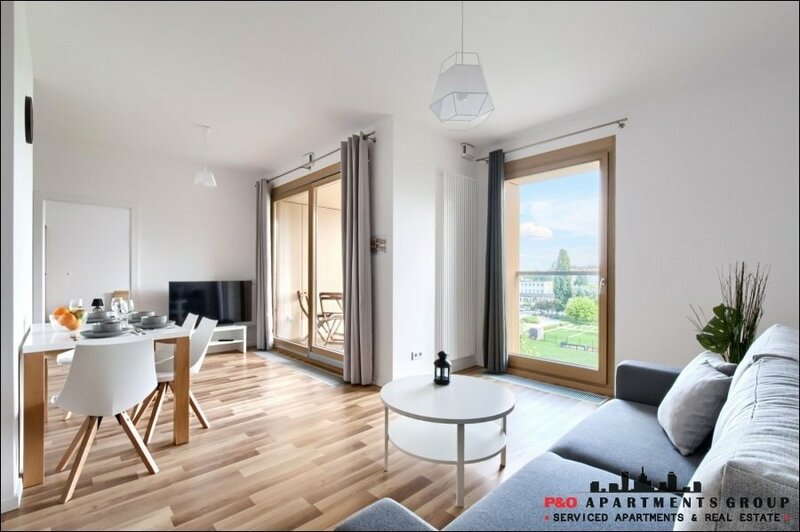 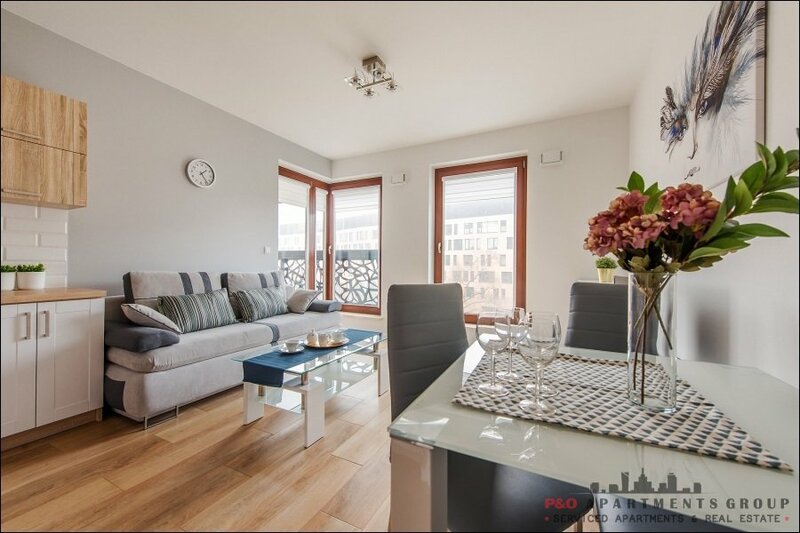 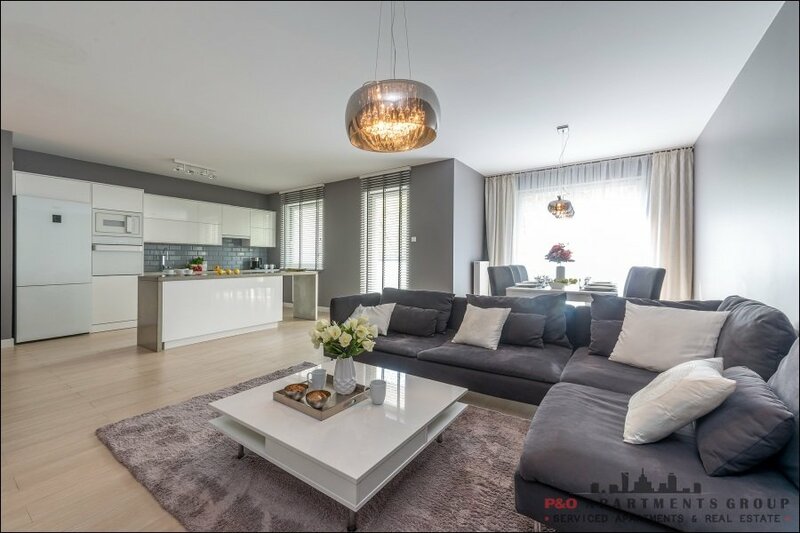 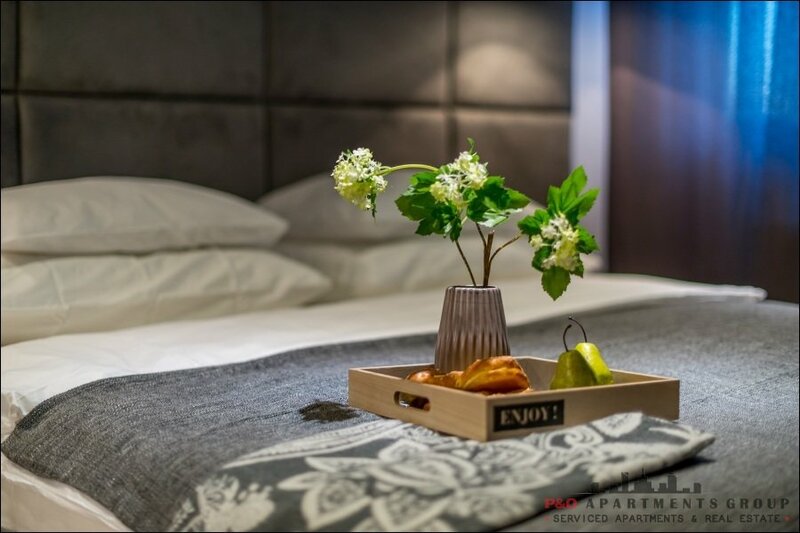 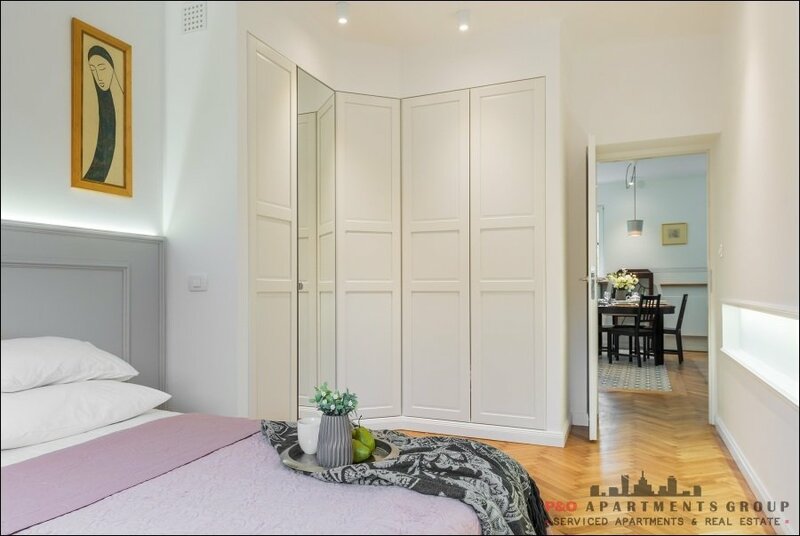 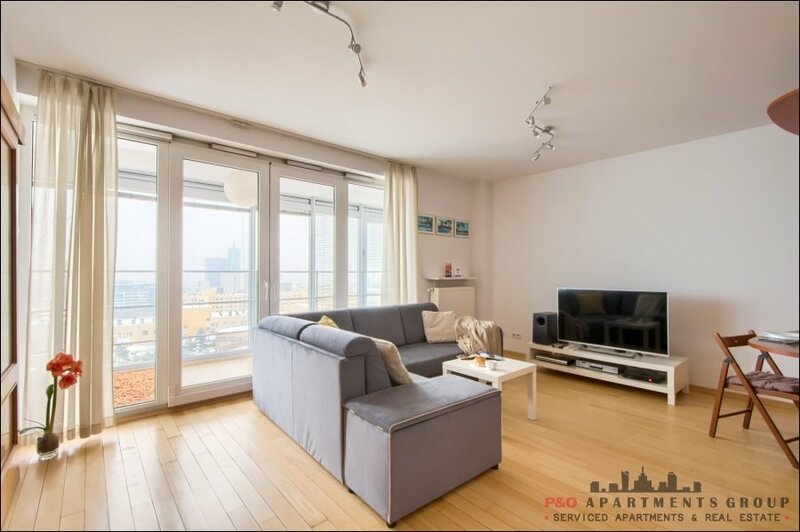 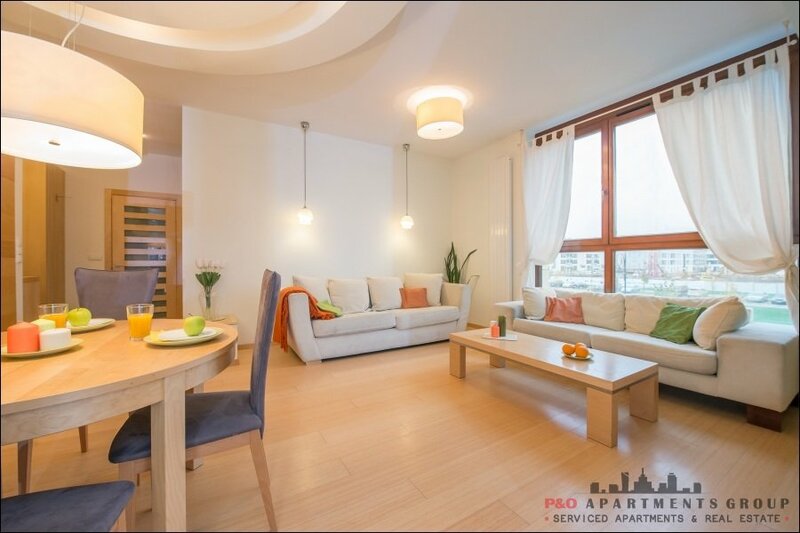 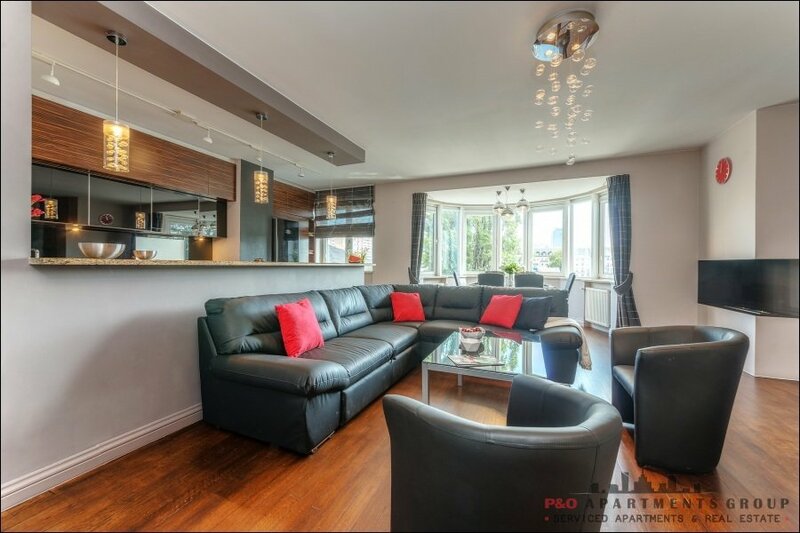 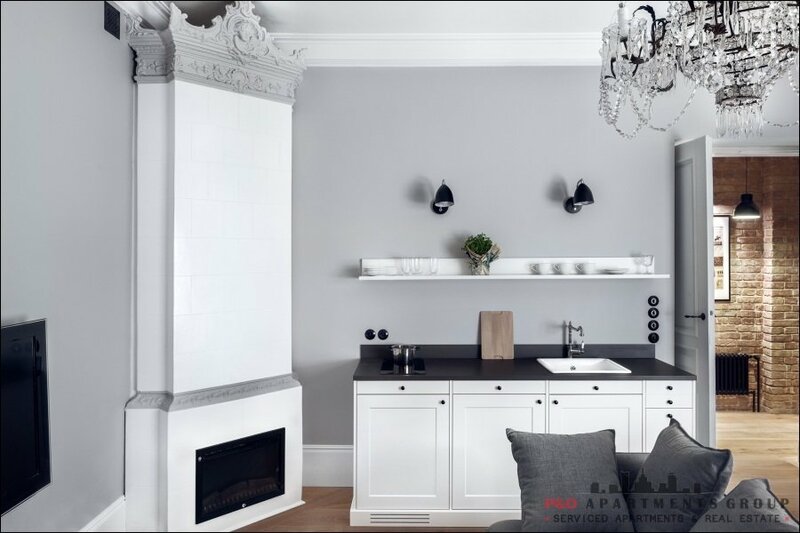 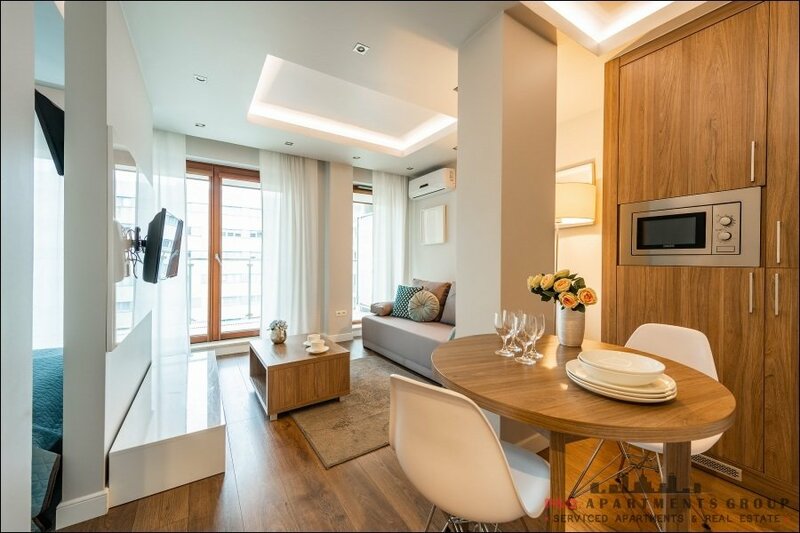 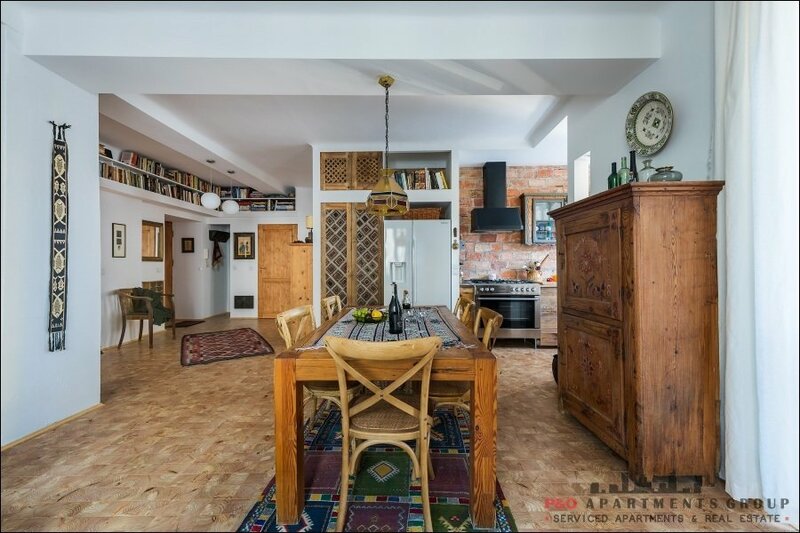 Elegant apartment located in the city center of Warsaw, functionally designed with the utmost care for details. 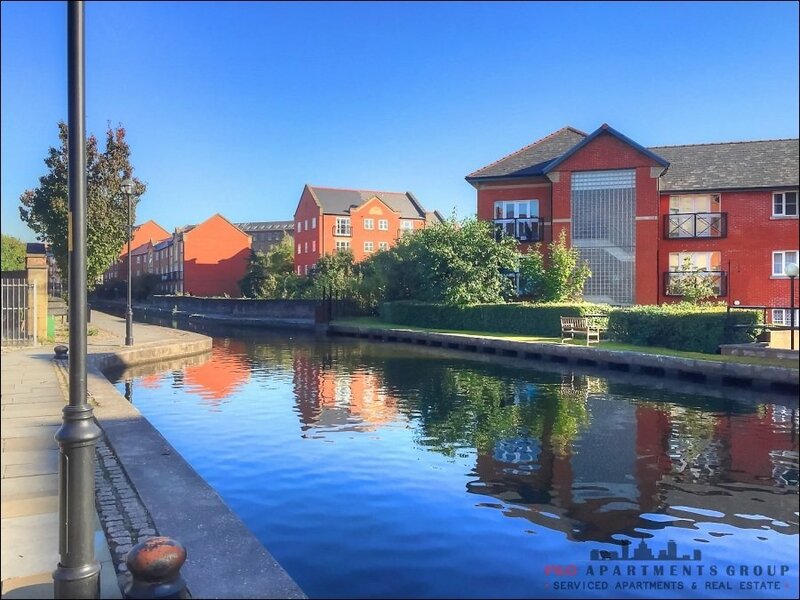 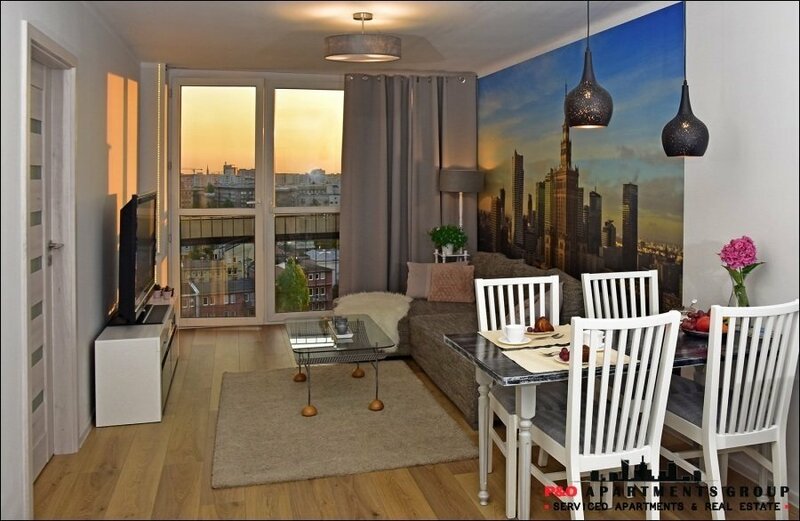 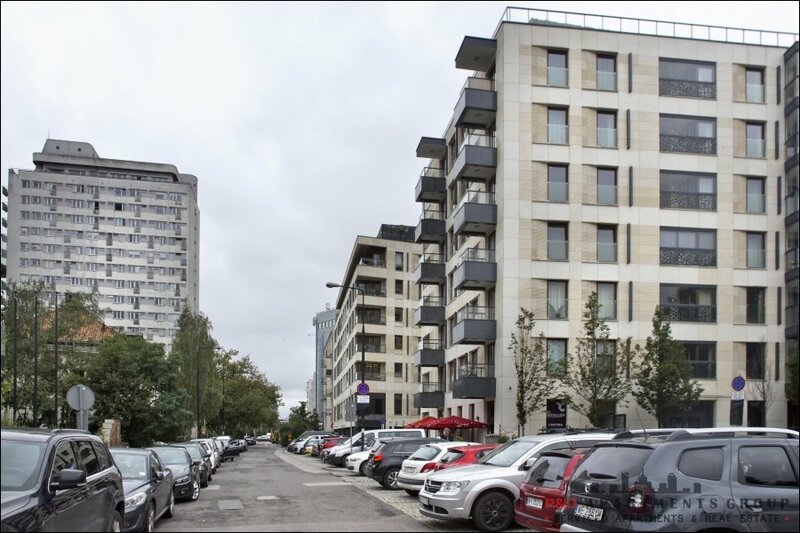 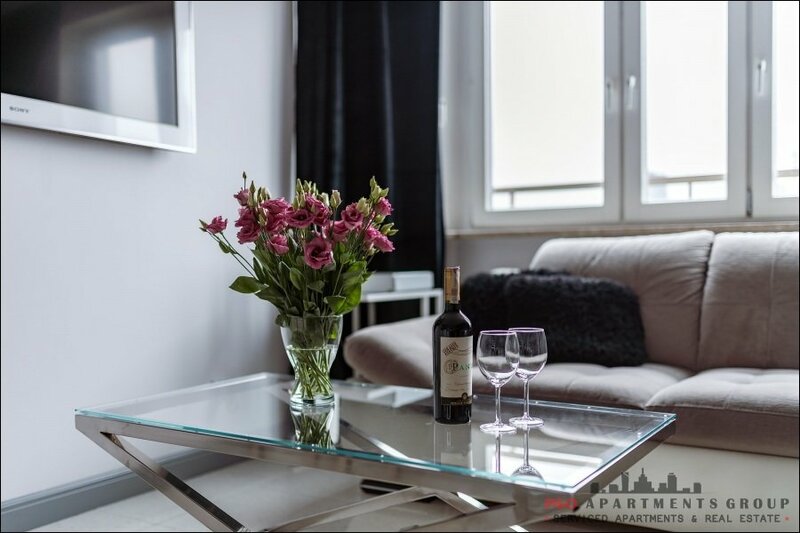 This apartment is located at Grzybowska Street (near to Hala Mirowska and Radisson Blu Hotel). 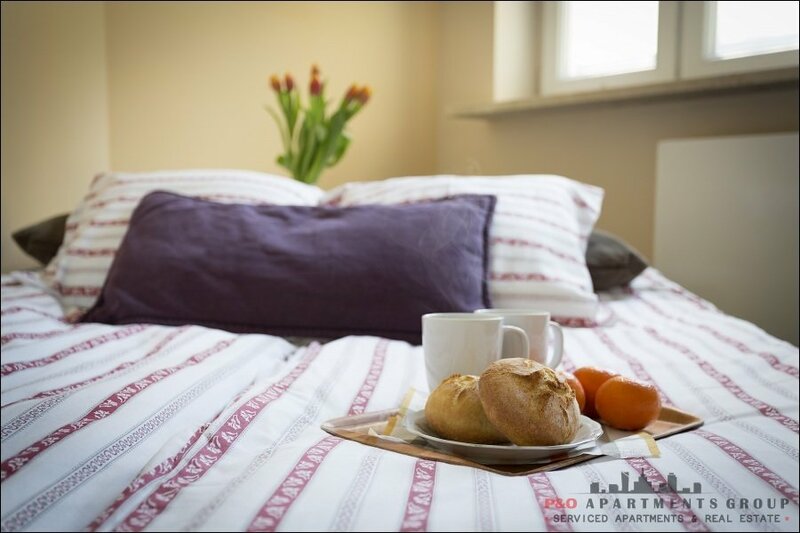 At the bottom of the building you will find a grocery storeand service companies. 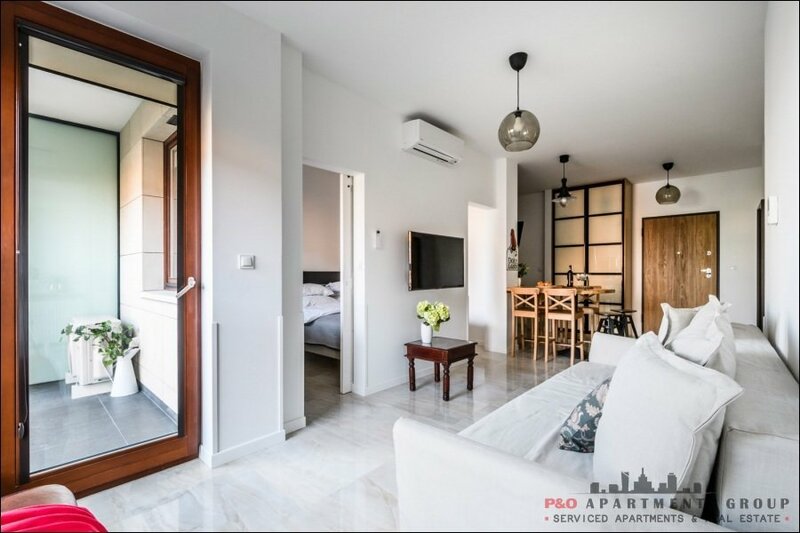 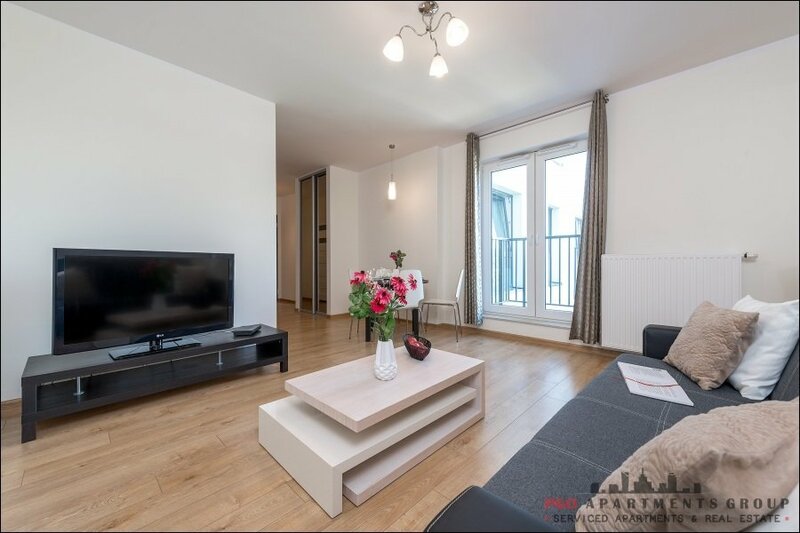 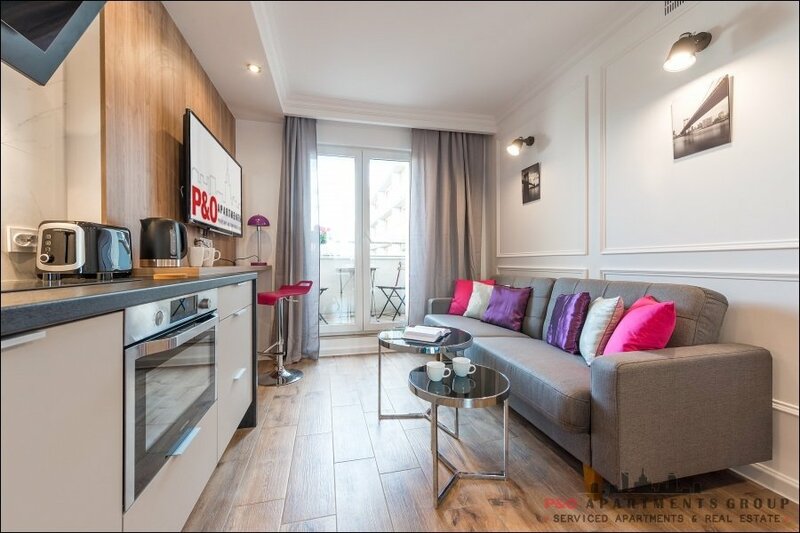 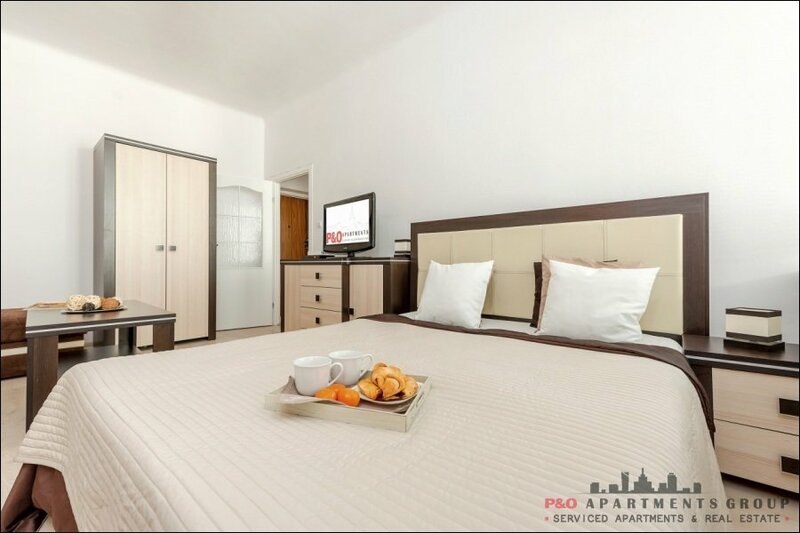 The apartment consists of a living room with a kitchen, bedroom with large wardrobe and bathroom. 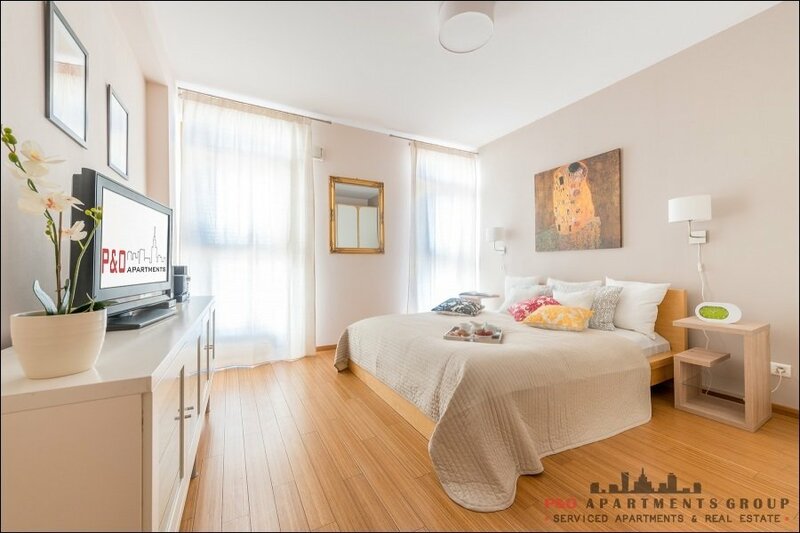 The apartment is fully equipped: washing machine, dryer, kitchen, oven with microwave function, refrigerator, dishwasher. 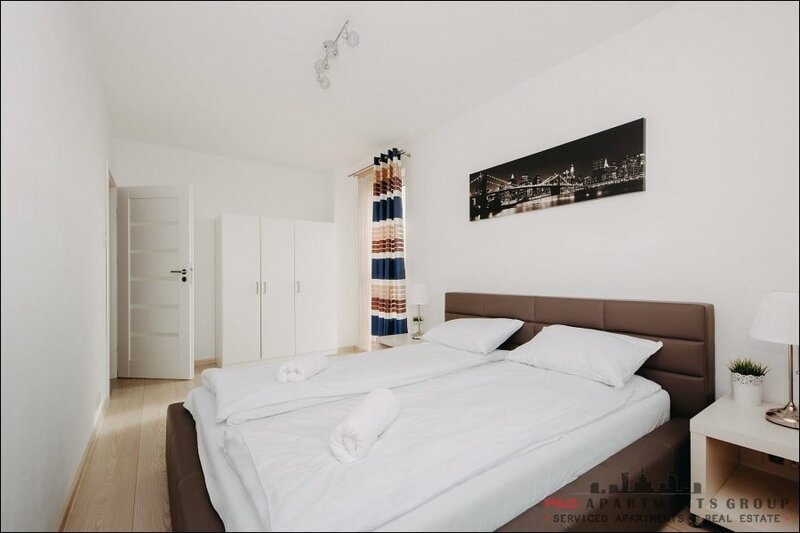 The bedroom has one double bed, in the living roomd- fold out sofa be. 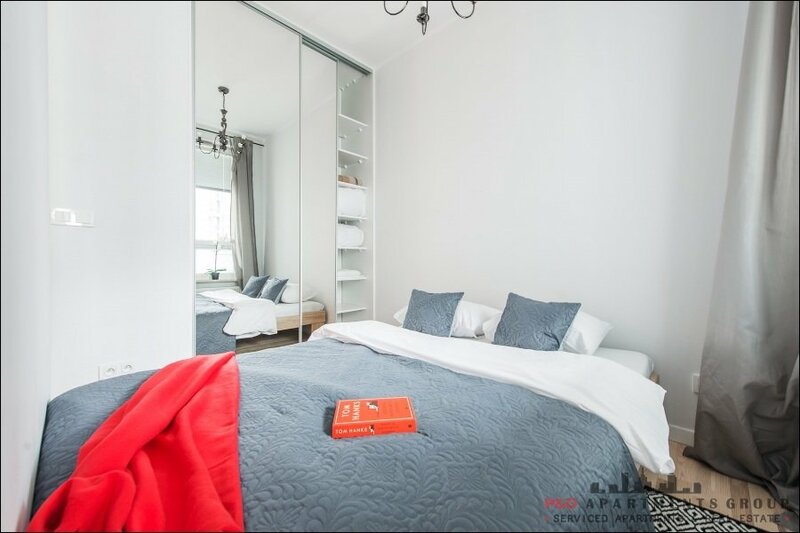 Good communication to the Old Town and Central station, walking distance to Rondo ONZ. 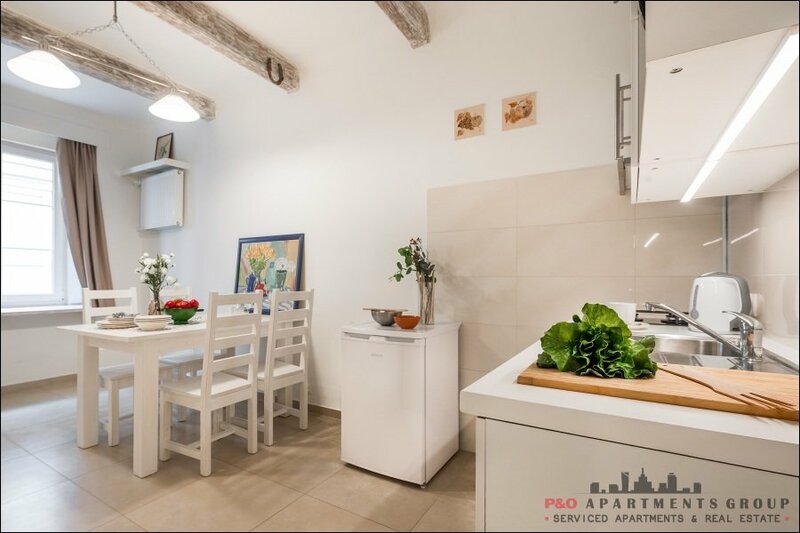 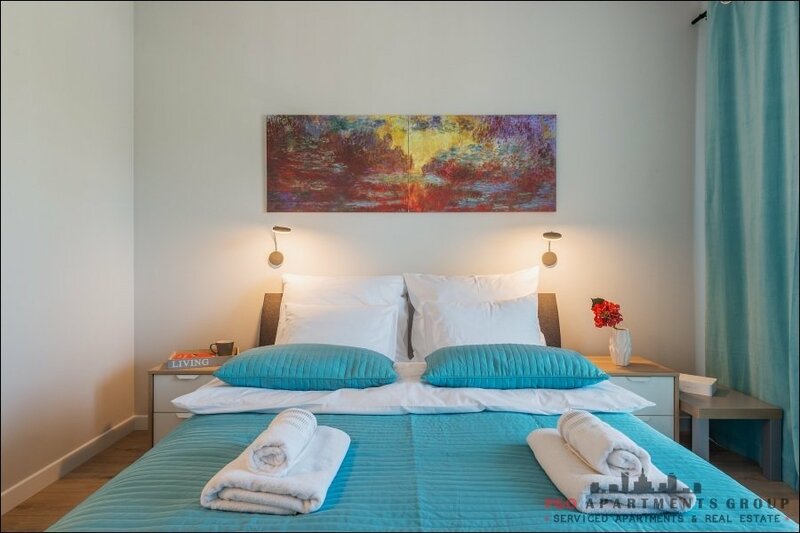 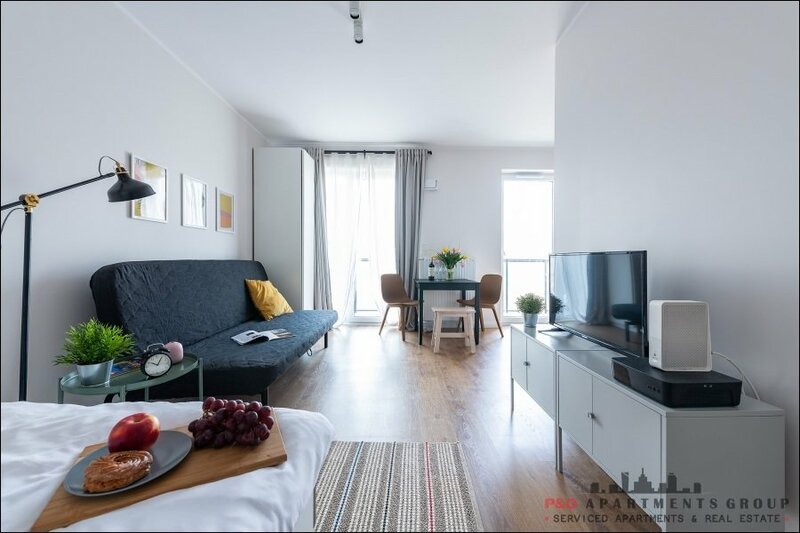 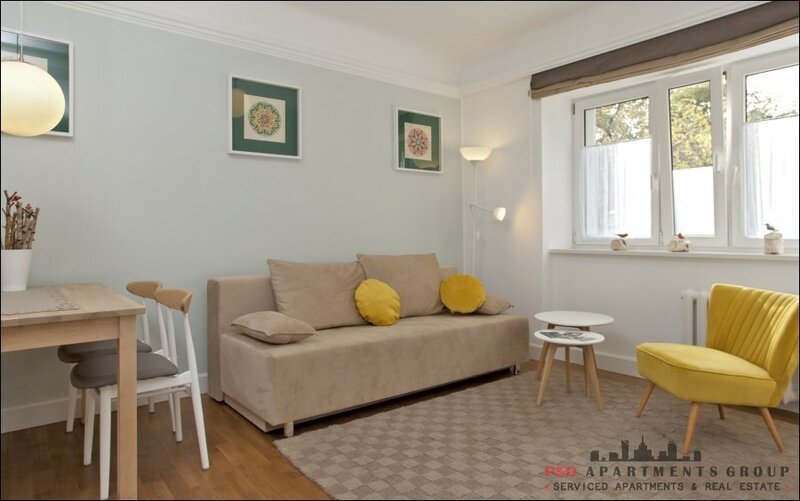 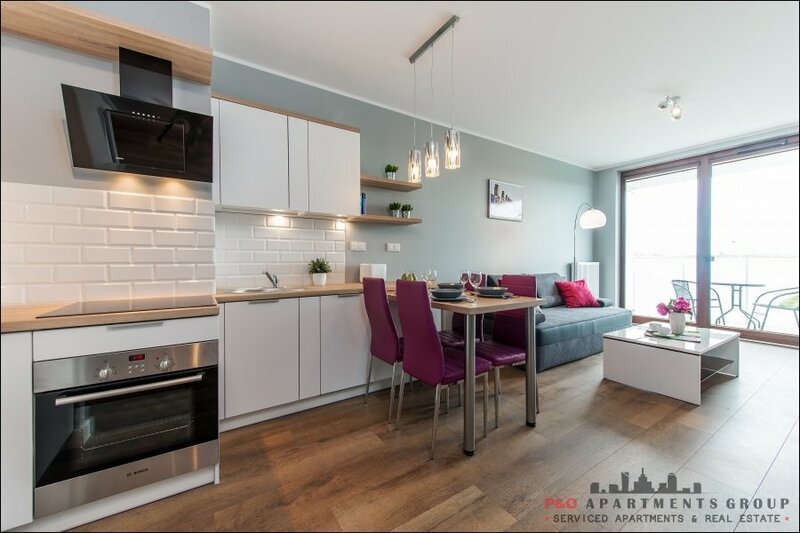 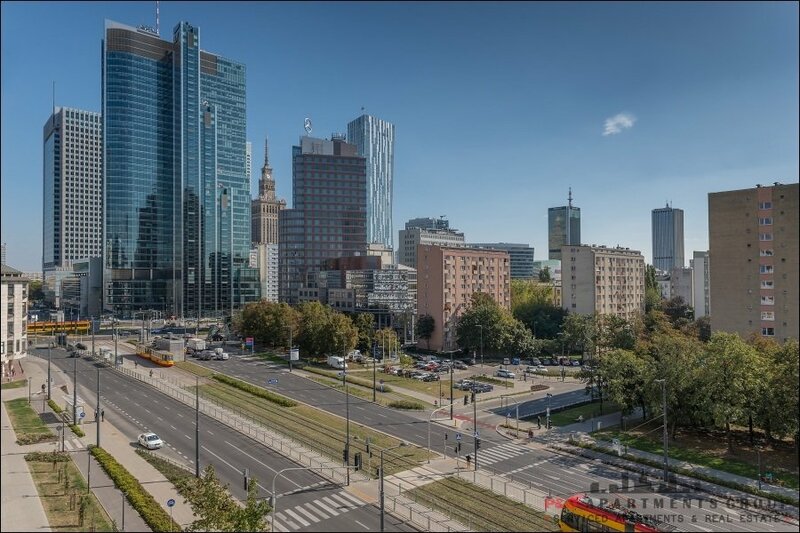 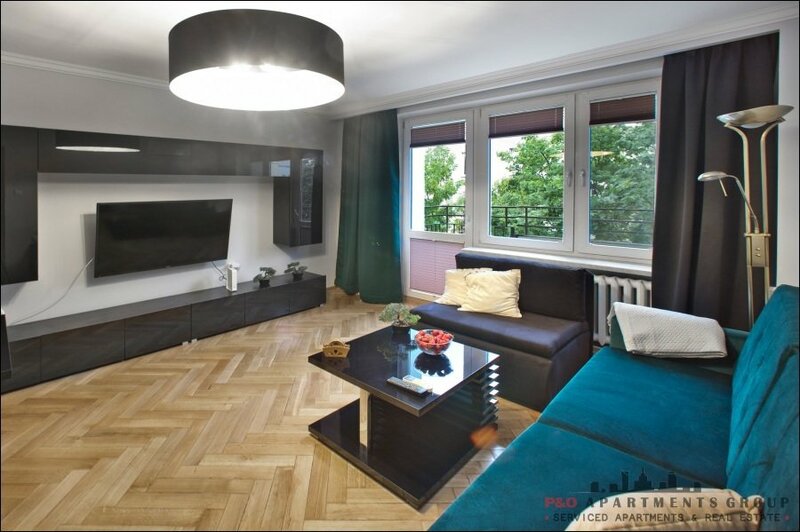 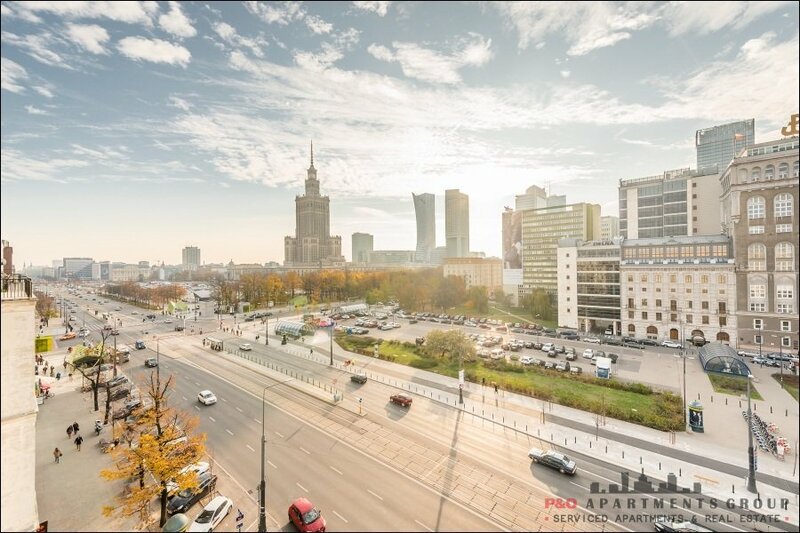 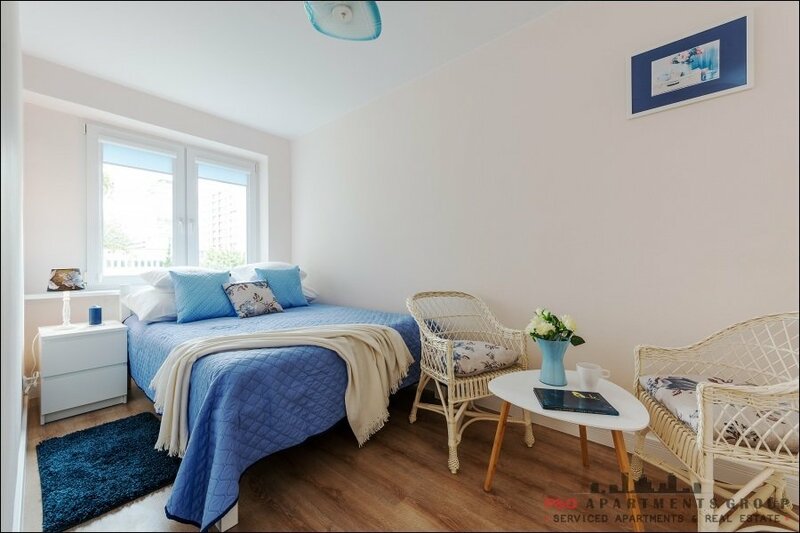 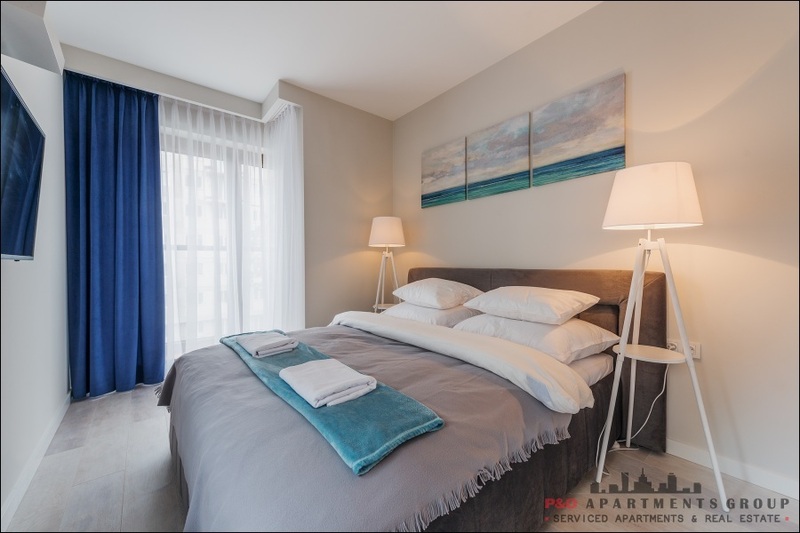 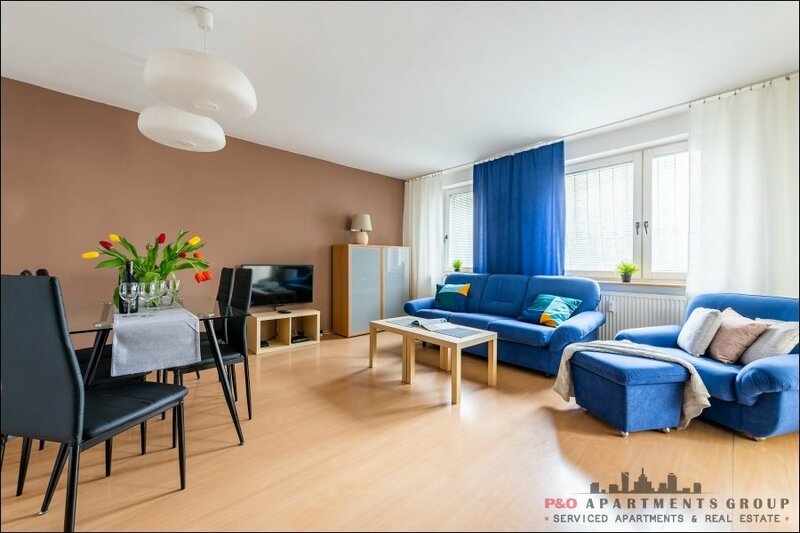 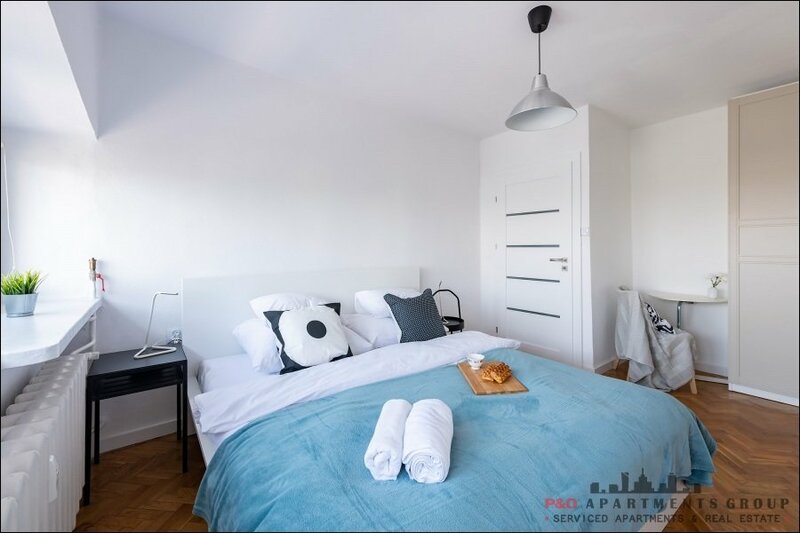 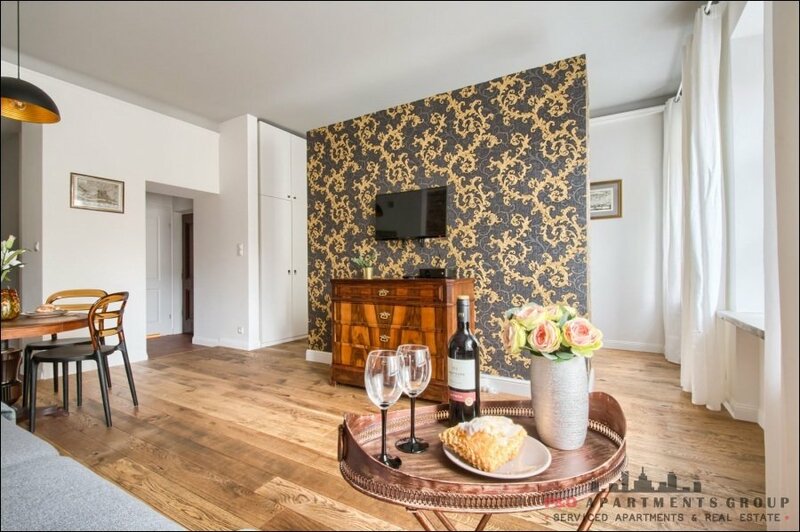 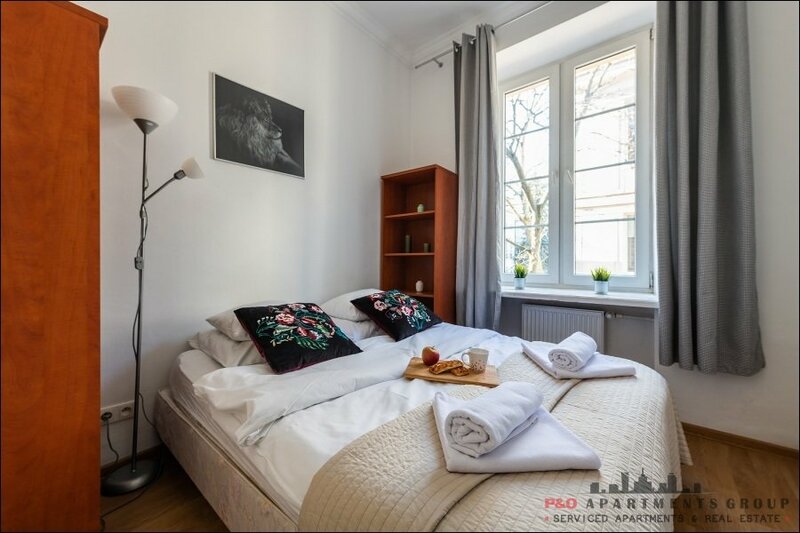 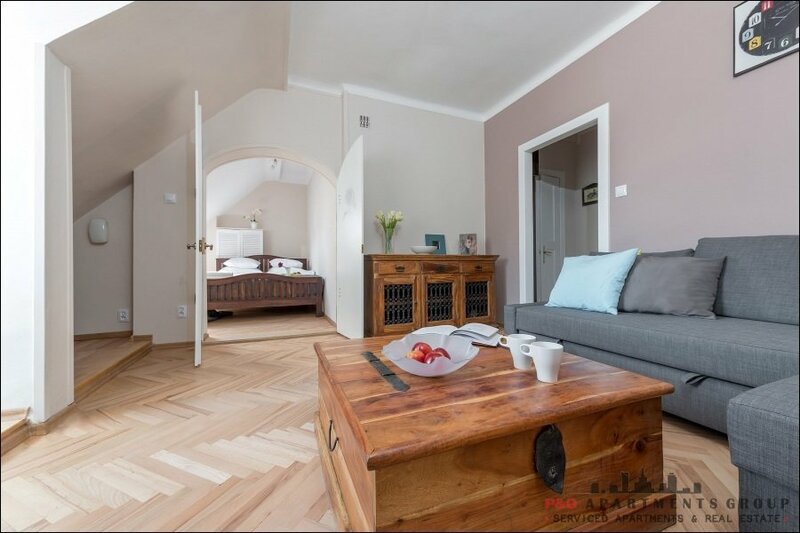 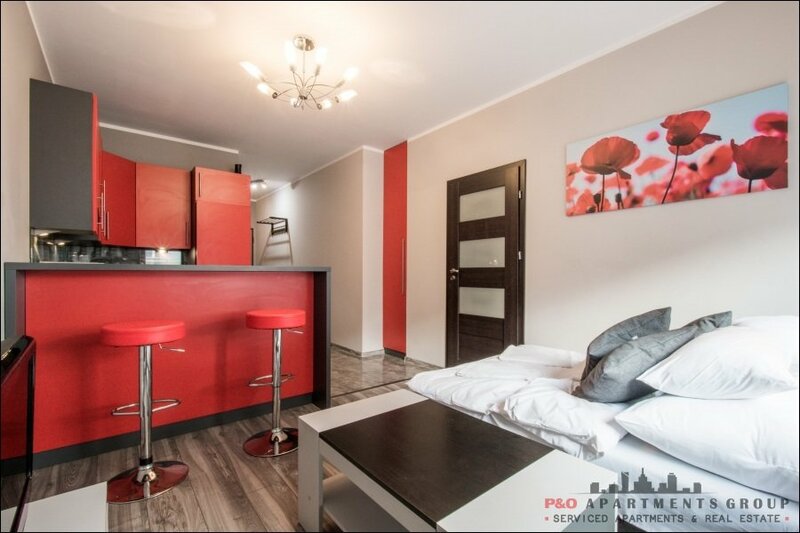 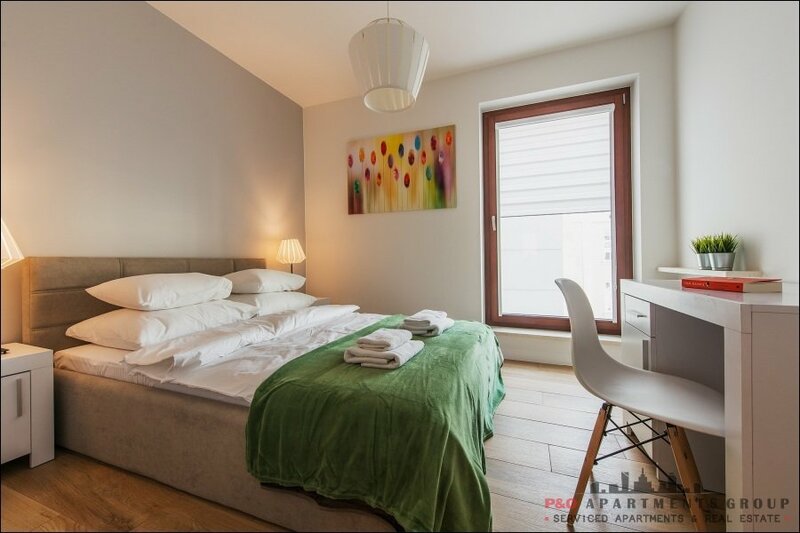 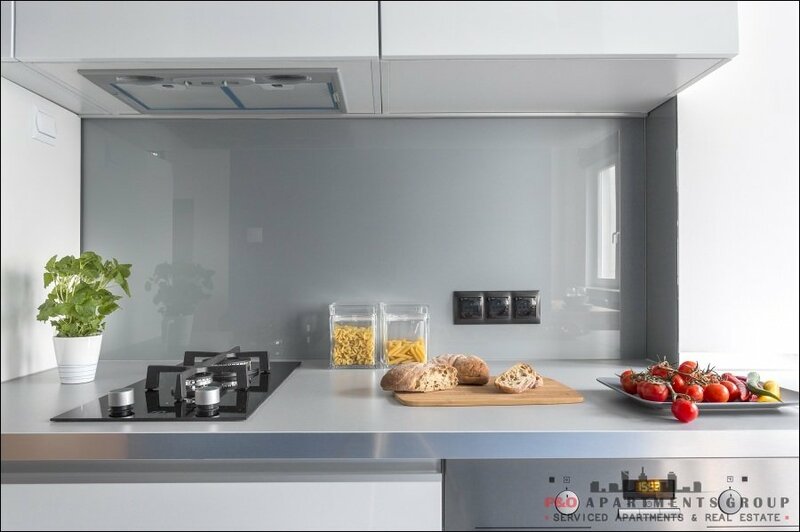 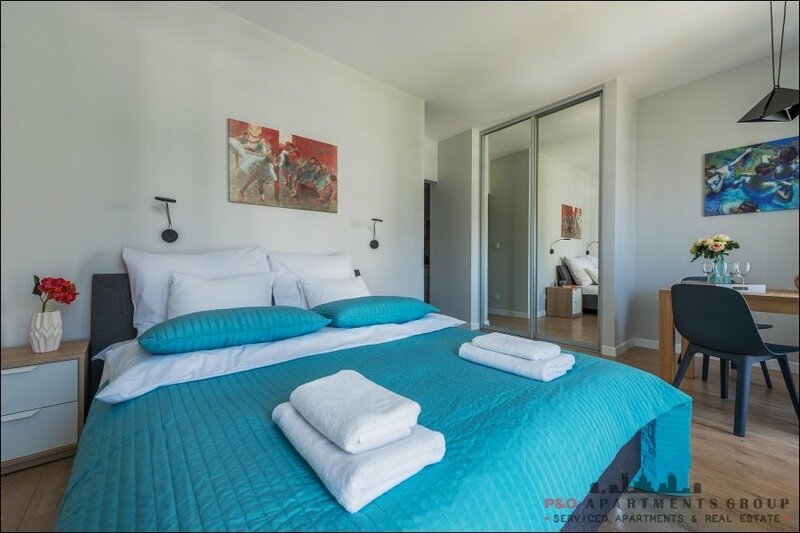 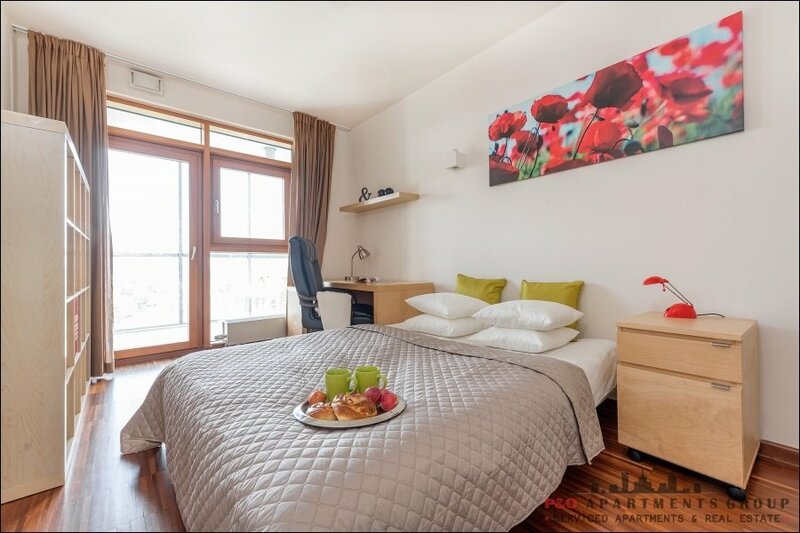 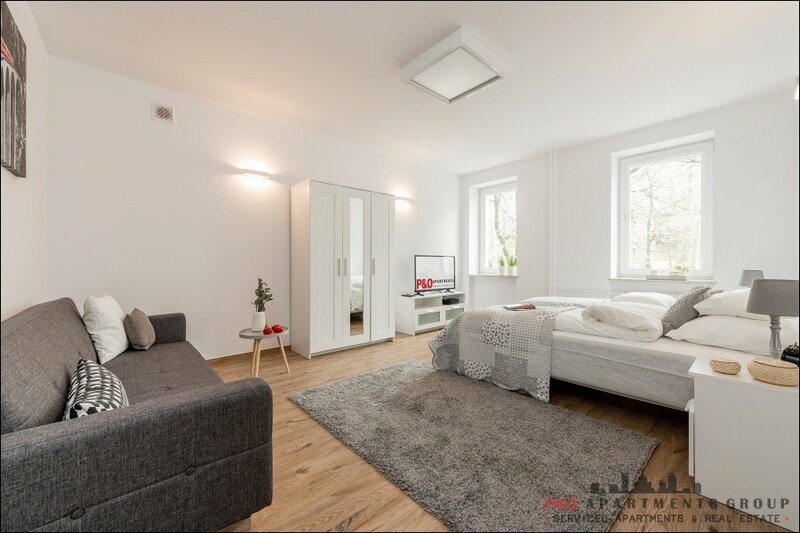 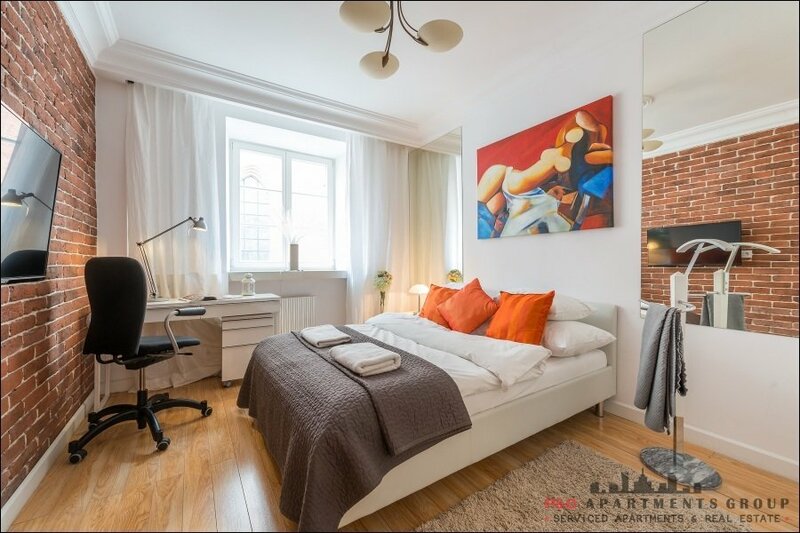 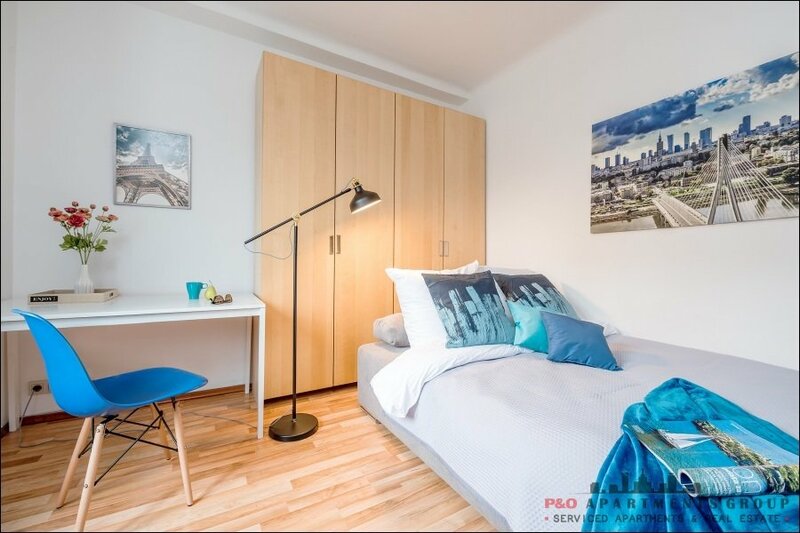 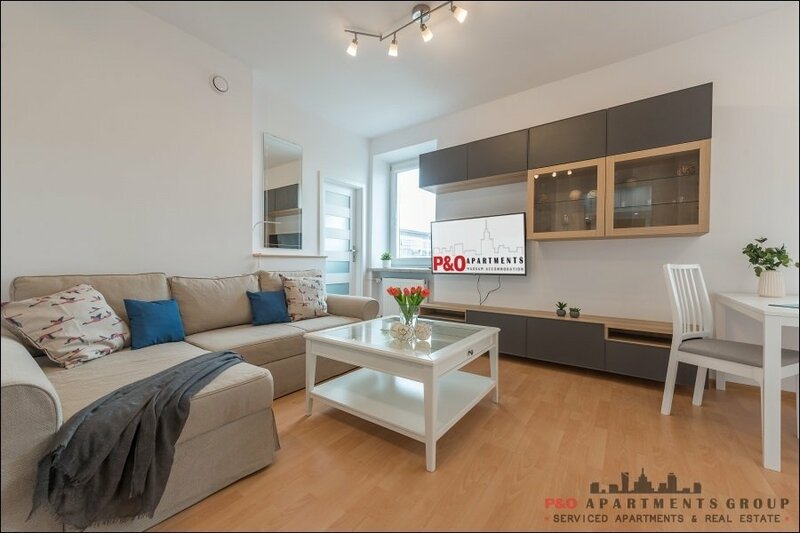 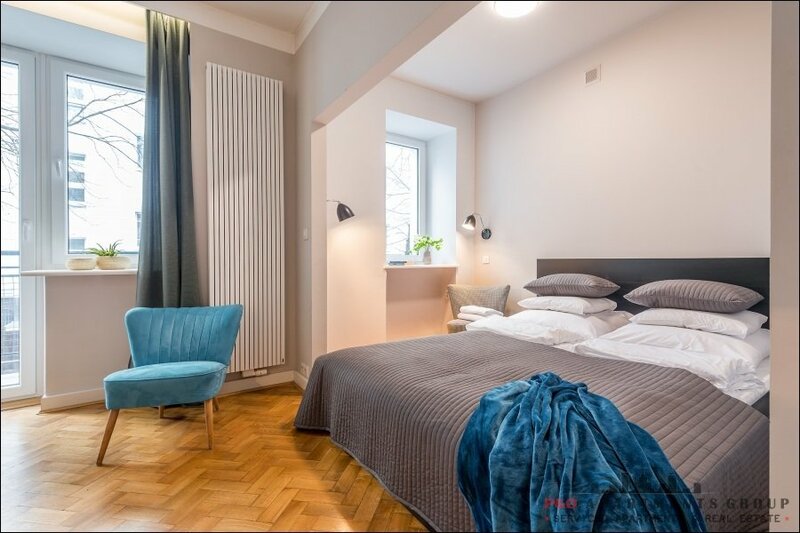 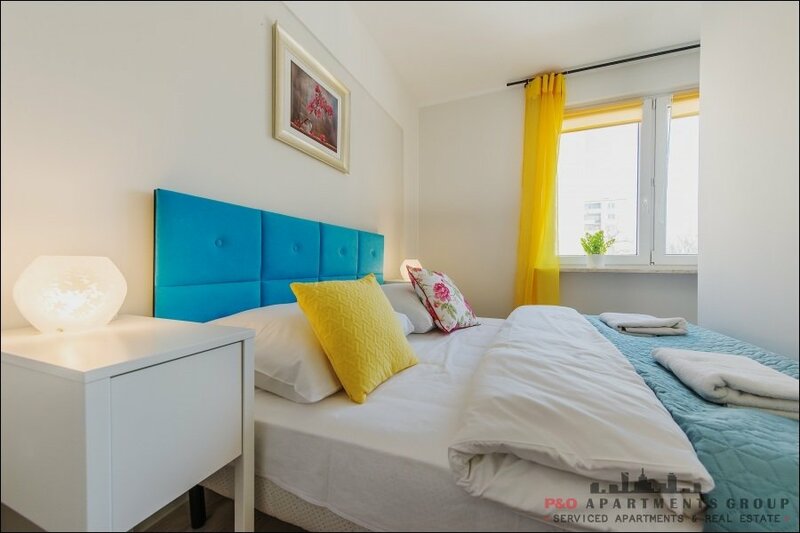 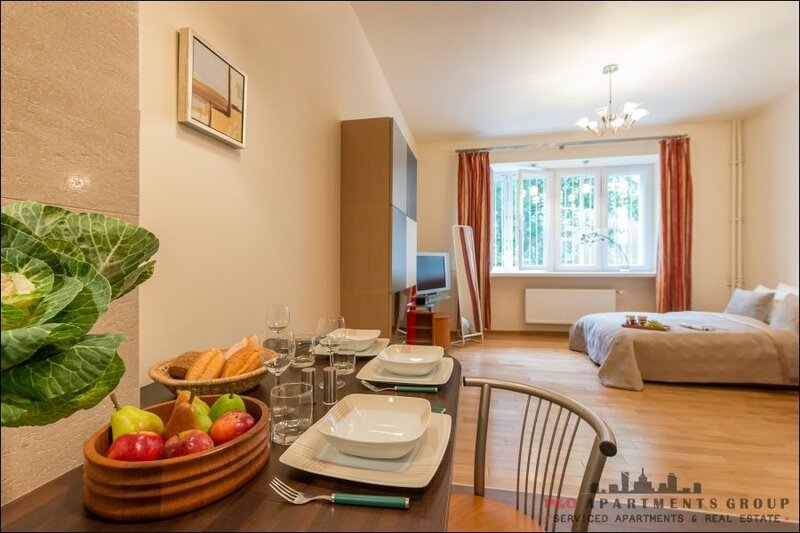 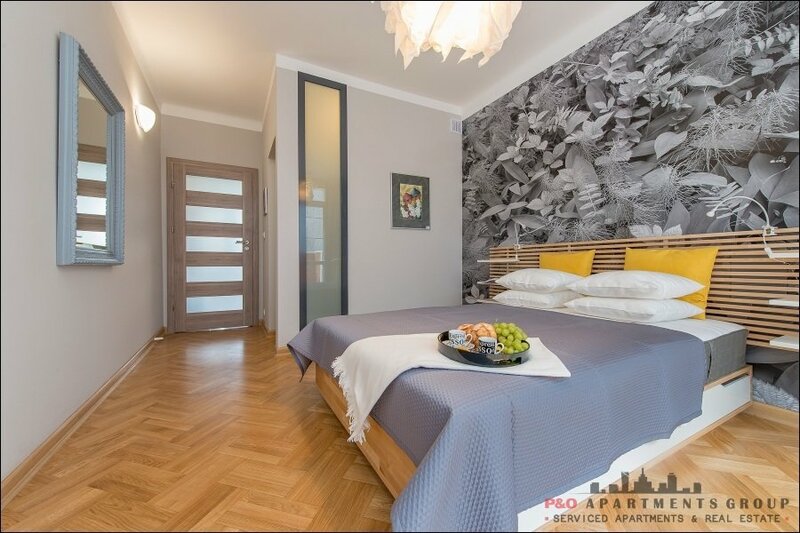 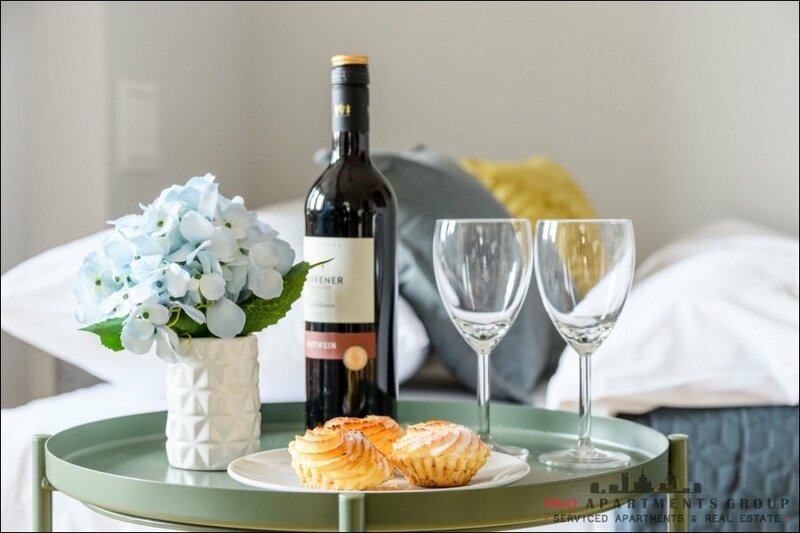 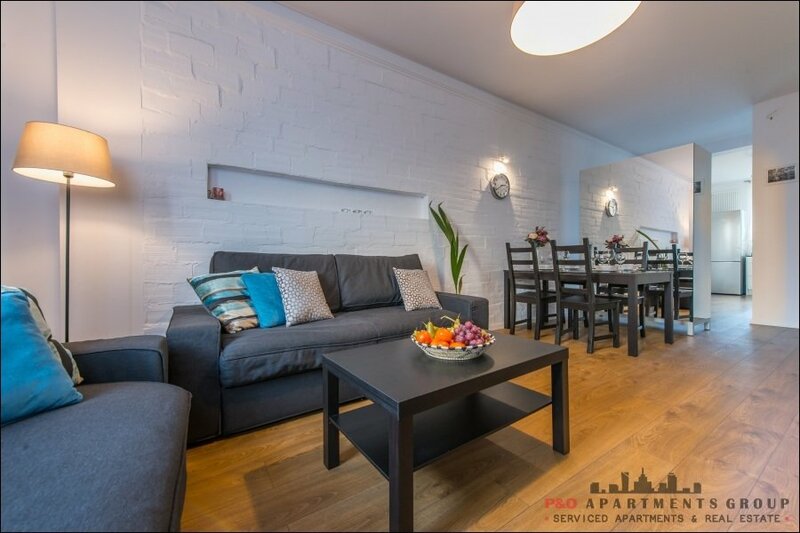 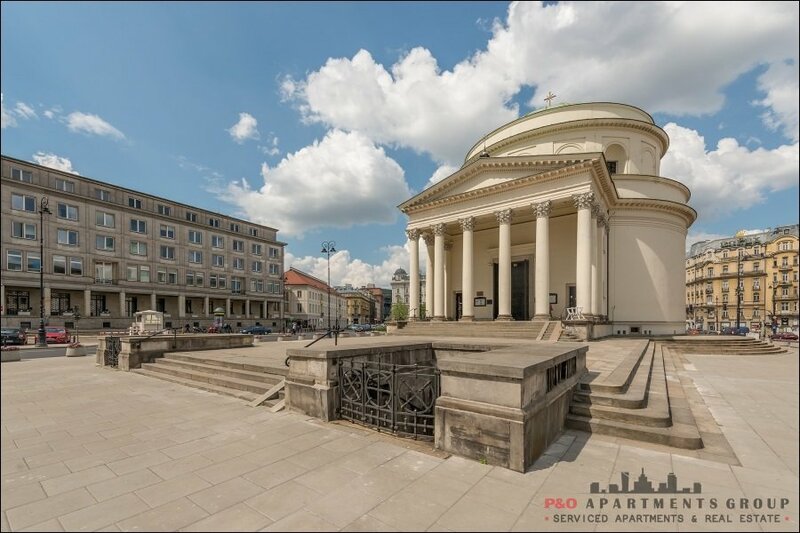 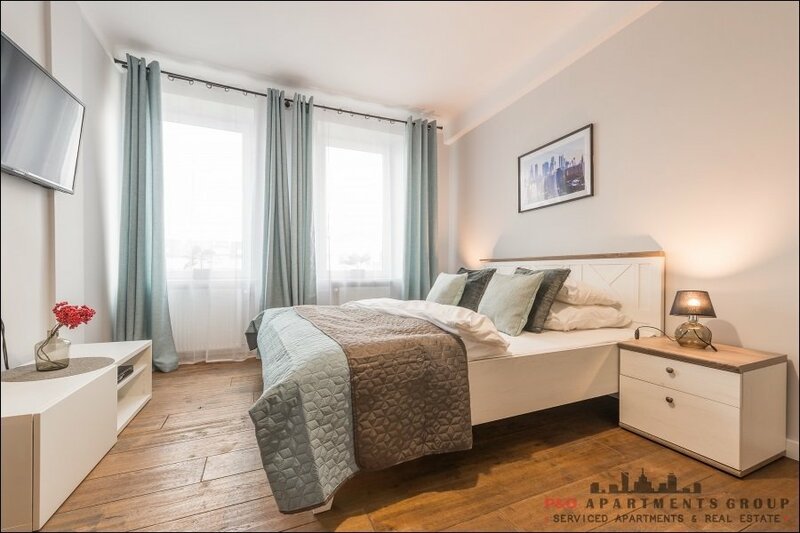 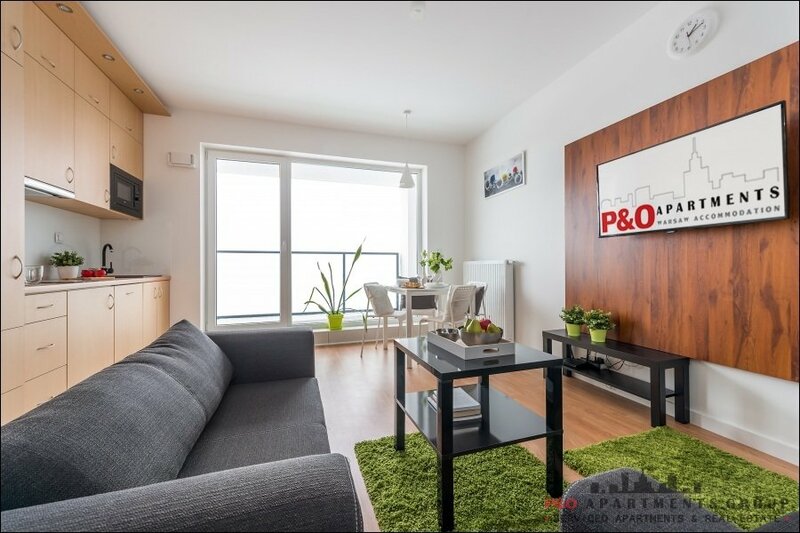 Apartment ideal fo short term and long-term stay in Warsaw. 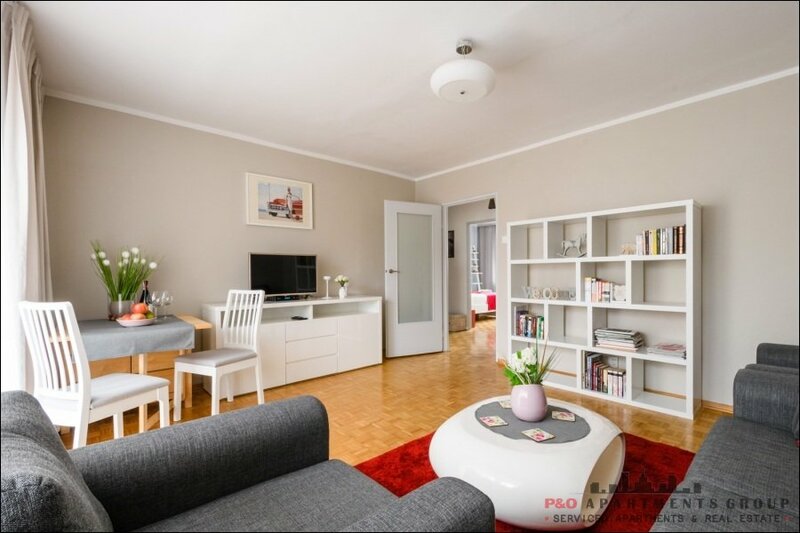 Living room: fold out sofa- bed (140x200) for 2 people, coffee table, wardrobe, table TV, Smart TV, radio / docking station for iPhone 4 and iPad.